Seef district is a suburban neighbourhood in Manama and it is a great choice for travellers interested in shopping and family-friendly trips. Which is why it is always advisable to start searching for properties for rent in Seef before you even book your flight ticket. Seef district has many residential buildings in prime locations that offer stylish and elegant apartments for rent with various prices that suit all budgets. The area is full of many tourist and leisure attractions that make it one of the most favourite destinations for travellers from all over the world. 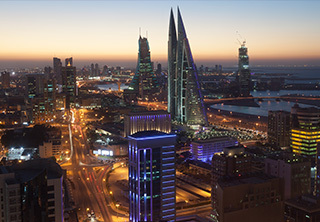 Seef district is the home of one of the highest residential towers in the Kingdom of Bahrain, ERA Tower that is 185 meters high. Officially completed in 2011, ERA Tower features a wide array of fully furnished and opulent apartments for rent in Seef that comes with numerous amenities that promote luxury living such as common swimming pool, gym, sauna, spacious parking lot as well as integrated security systems and central air conditioning. Another high residential building located in Seef district is Almoayyed Tower which includes a large number of retail outlets. Almoayyed Tower is the ultimate shopping destination in Seef and one of many reasons visitors prefer renting there for its close proximity to all vital areas. A fully furnished apartment for rent is Seef with 180 degrees view that includes one bedroom and two bathrooms; is available for 750 BHD. whereas a two-bedroom fully furnished apartment is for rent for 820 BHD. Even though Seef district is a vital area that has a lot of action going on, but rentals there are affordable, all of which makes it a sought-after area for tourists and large parties looking for properties for rent in Seef. For those looking to rent a bigger place for their big families, a furnished three-bedroom villa in Seef district that extends over an area of 200 square meters is for rent for only 900 BHD. While a partially three-story furnished villa with a private pool, private garden, spacious balcony, four bedrooms and five bathrooms is available for rent for only 1000 BHD.